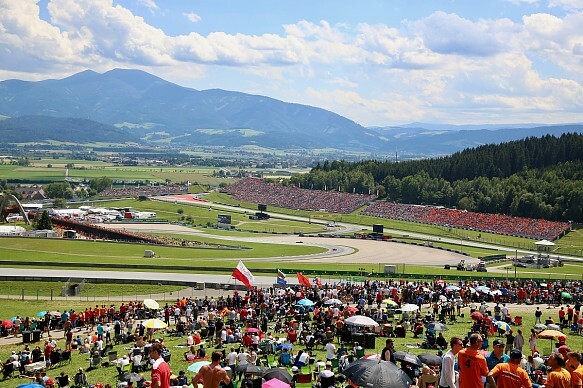 While the racing takes place close to the town of Spielberg, in central Austria, it is Vienna in the east where you'll find Formula 1 fans before and after the grand prix weekend. Sitting on the banks of the Danube, Vienna is the former home to Mozart, Beethoven and Freud, and is one of the most culturally inspiring cities in the world. Austria's capital has a rich history of art, culture and science which you can explore while wandering through the city's historic old town. In a few hours, you can take in a host of famous sights including the Vienna State Opera House, the Imperial Crypt, Mozart's Vienna home, the Roman ruins and assorted fascinating monuments within the façades and streets. Not far from the old town you can find the Kunsthistorisches Museum, the location of some of Europe's most prestigious art. Vienna's Museum of Art History is a also must-see destination where you can immerse yourself in the works of Raphael, Caravaggio, Rembrandt and Pieter Bruegel the Elder. With St Stephen's Cathedral around the corner, you can learn about Vienna's religious history too. One evening, head up the bell tower for an incredible view across the city and watch the sun set below the skyline. Alternatively, you can take a trip into the catacombs below, where you can explore the changing face of the burial rituals and ceremonies that have surrounded the death of the rich and powerful throughout the city's history. Vienna is also home to one of the most spectacular natural history museums in the world. The Naturhistorisches Museum's riches range from dinosaur exhibits to pieces of meteorites, stuffed animals, mineral collections and models. The volume of information is extraordinary and it's a perfect venue for those travelling with children. Make sure you obtain an audio guide or sign up for a tour to ensure you don't miss some of the museum's more fascinating sights. Out of the city centre one area that is particularly spectacular at night is the Belvedere Palace Museum. Just a five-minute walk from Karlplatz underground station, the site is perfect for a short jaunt around the palace or perhaps a full day of exploring the gardens, gallery and museum. The gardens are vast and scattered with incredible works of sculpture, fountains and iron works, while the museum is home to the works of Gustav Klimt. And, finally, you must not leave Vienna without paying a visit to one of the city's most imposing sights, the Schönbrunn Palace and Gardens, situated south west of the city's downtown area. The 1441-room palace has a 300-year history and is home to some of the most spectacular architectural sights and gardens in Austria. Make sure that you also explore the gardens fully to discover incredible works of sculpture, the Gloriette and the famed Roman Ruins. What's your favourite part of the track? 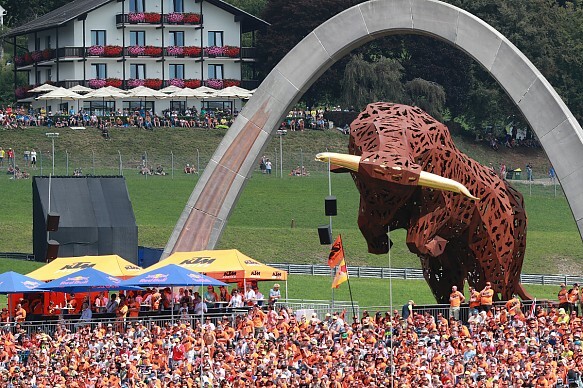 The Red Bull Grandstand because the party atmosphere there is amazing. 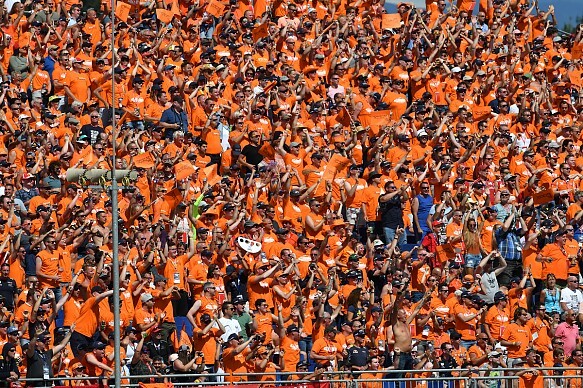 The crowd - a sea of orange shirts - are fanatical about Max Verstappen. Be ready to join in with the singing, dancing and chants. And your favourite memory from the race? Last year as Verstappen won after both Mercedes retired. His fans flooded onto the track as he drove past and watching him celebrate with them was truly memorable. The best thing to do away from the track? In Vienna, take a stroll around the Belvedere Palace and Gardens, a two-minute walk from the Lindner Hotel which we offer as part of the package. The Volksgarten next to the Parliament building is also a fantastic sight. Any local food or drink to recommend? Visit Salm Brau. It's an incredible place, which has copper beer tanks in the corner and big plates of traditional Schnitzel and lentil dishes. It's an amazing restaurant with a relaxed and warm atmosphere with a rustic feel. How should you prepare for a long transfer? The journey to the circuit from Vienna is beautiful, so don't worry about keeping yourself occupied. Eat at the track after the race since you'll arrive back in Vienna late. Has Red Bull fallen into McLaren's Honda trap?